From airport security detecting explosives to art historians authenticating paintings, society's thirst for powerful sensors is growing. "The technology we're developing - a universal substrate for SERS - is a unique and, potentially, revolutionary feature. 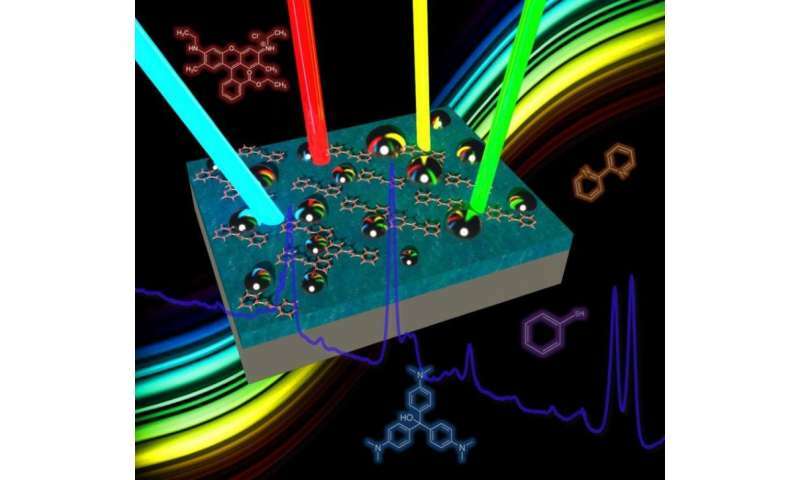 It allows us to rapidly identify and measure chemical and biological molecules using a broadband nanostructure that traps wide range of light," said Qiaoqiang Gan, UB assistant professor of electrical engineering and the study's lead author. SERS addresses the problem by utilizing a nanopatterned substrate that significantly enhances the light field at the surface and, therefore, the Raman scattering intensity. Unfortunately, traditional substrates are typically designed for only a very narrow range of wavelengths. "It acts similar to a skeleton key. Instead of needing all these different substrates to measure Raman signals excited by different wavelengths, you'll eventually need just one. Just like a skeleton key that opens many doors," Zhang said. "The applications of such a device are far-reaching," said Kai Liu. "The ability to detect even smaller amounts of chemical and biological molecules could be helpful with biosensors that are used to detect cancer, Malaria, HIV and other illnesses." It could be useful identifying chemicals used in certain types of paint. This could be helpful detecting forged pieces of art as well as restoring aging pieces of art. Also, the technology could improve scientists' ability to detect trace amounts of toxins in the air, water or other spaces that are causes for health concerns. And it could aid in the detection of chemical weapons.